This bright apartment overlooking the vineyard and the garden has wooden beam ceilings and is larch-wood planked. 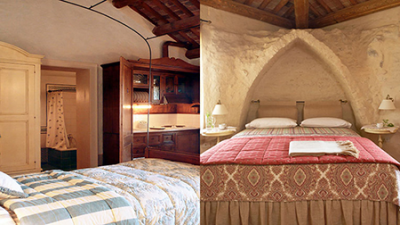 It consists of two adjoining accommodations Mora & Melagrane, each one with its own bathroom. 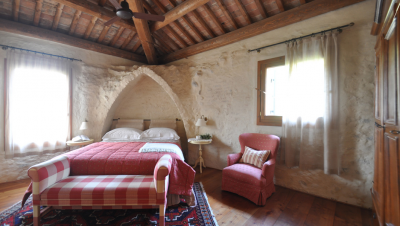 Le Melagrane is a romantic regular bedroom elegantly furnished, has en-suite full bathroom a small refrigerator and an electric kettle. La Mora studio is has an equipped kitchenette, features a canopy king (or two twins) bed, and en-suite full bathroom.